This thread needs to be eliminated altogether. This thread needs to be eliminated. I knew you'd come through ! 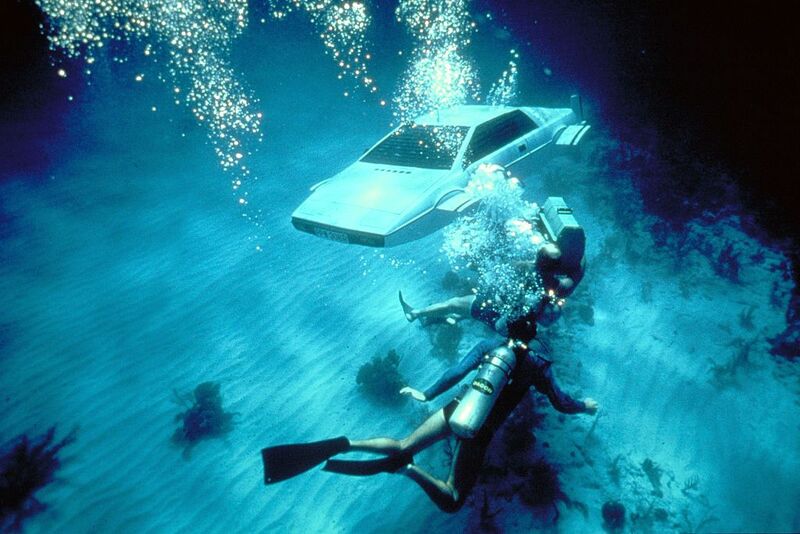 Richard Hammond's submarine Lotus was miles better than Roger Moore's, because it (sort of) worked. Back in 1977, Eon Productions, the producers of the James Bond series, spent roughly $100,000 on "Wet Nellie," the Lotus Elise submarine now owned by Elon Musk. Lotus supplied the team with two road cars and an additional six empty body shells, three of which were converted by Florida's Perry Oceanographic for underwater scenes shot in the Bahamas. They were designed by movie prop legend Ken Adam. The only motorized Lotus out of the fleet was operated by retired US Navy SEAL Don Griffin and a copilot, while another two empty submarine shells were used for the closeups. And while the star sub was kept in storage until 1989, a second shell was donated to local crane supplier Roberts, only to be rediscovered in an empty lot in the Bahamas in 1992. Despite his initial enthusiasm, Elon Musk wasn't able to turn his $997,000 Esprit into a working submarine—it was never designed to be sufficiently airtight, or even submersible. But while Musk has so far failed, there's another crew that has made a working Bond-style sports car sub: The team at Top Gear, circa 2012. To celebrate 50 years of Bond cars, old-new Top Gear's Richard Hammond came up with a special just in time for the premier of Skyfall, a movie which featured former "Stig" Ben Collins as a stunt driver. And since that white Spy Who Loved Me Esprit is arguably the greatest Bond car of them all, the old Top Gear team went to great lengths to do it justice, despite a much tighter budget. 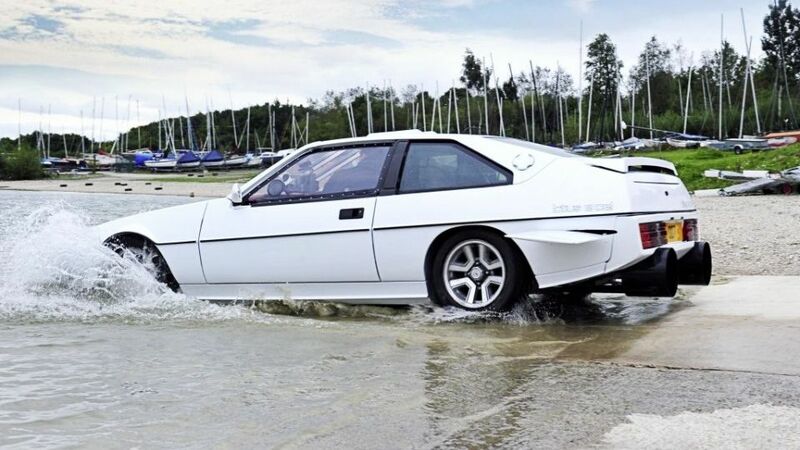 Using a front-engined Lotus Excel instead of a classic mid-engined Esprit S1, Top Gear's fabricators produced a submarine that was tough enough to withstand a few minutes of underwater shooting. They replaced the windows with aviation-grade plastics, resealed the body entirely with layers of fiberglass, filled up the tires with concrete for ballast, and even gave Hammond a sonar system. Top Gear's submarine Lotus also had fully functional electric thrusters, and retractable dive planes.